As the holiday season rolls in, I think that most of us tend to pay a little closer attention to our finances. We’d all love to have a little more money to spend on our loved ones. For a lot of households, every month, a huge chunk of our income comes in and then goes straight back out the door to our utility companies. Of course, we need electricity and heat, and we have to pay for those things, but sometimes it feels like we’re getting financially manhandled a little bit, doesn’t it? Well, perhaps we are. 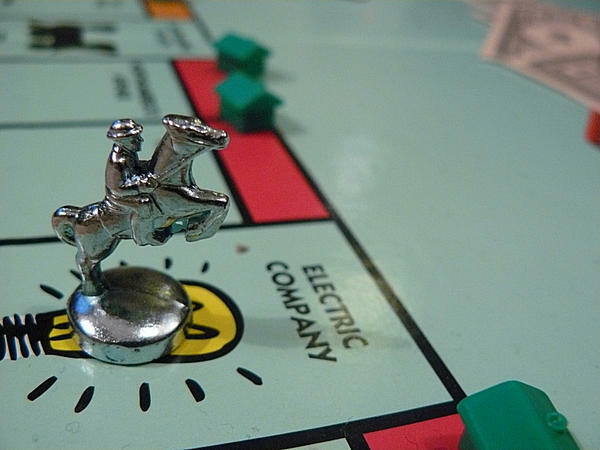 Utilities are monopolies. They are regulated so that they don’t use their monopolistic powers to rip us off too much. However, in some cases, those regulatory bodies are corrupt, or they’re weak, or the utility companies find some clever ways around the regulations in order to squeeze more money out of our pockets. “Certain aspects of utility regulation and policy are especially critical for enabling and supporting utility energy efficiency programs. Experience has shown that without very direct and supportive regulations and policies, utilities will not develop and offer significant customer energy efficiency programs,” ACEEE writes. In other words: unless very specific and supportive policies make your utility help you save energy (and money), it won’t. Of course, the same can be said for solar energy programs. 1. You don’t have net metering. 43 out of 50 states offer net metering, a policy by which it is agreed that you will get credited (generally the retail price of electricity) for any extra electricity a solar power system on your roof sends into the grid. In another 3 states, utility companies have adopted net metering. That leaves a lonely 4 states that don’t offer this basic solar power policy. If you’re in one of the 4 states without net metering, you can bet that your utility company has a bit too much power over policies in your state and is squeezing a little too much dough out of your wallet. Unfortunately, 3 of those 4 states are in the sunny south! 2. Your state isn’t considered when compiling lists of the top solar states. If you look at rankings of the top solar states, top solar states per capita, top solar policy states, or other such lists and you don’t see your own state on there, again, you could bet good money that the utility monopolies in your state have a strong grip on the regulatory system and are doing a “good” job keeping the rooftop revolution from you. No state is “crushing it” in the realm of solar power. The top states are doing a pretty good job, but the rest are simply oversleeping on one of the biggest energy opportunities ever. 3. Your utility company doesn’t tell you anything about how to save energy… or produce your own. Your utility company is full of energy experts. Its monthly bills get the attention of at least one person in your household. So, it is in a perfect position to help you save energy and save money. If it isn’t doing so, you can be sure that’s because it wants to (and is allowed to) rob you blind. When’s the last time your utility company shared very useful information with you regarding how to save energy or even how to go solar and produce your own? Luckily, there are friendly folks like us out here looking to help you get out of the grips of your utility company and save a penny or two (or millions!) by going solar. Even in states with the least cooperative utilities and policymakers, people can save/make thousands of dollars by going solar. Thanks to solar panel prices falling tremendously over the past few years, not much is actually needed to make solar power a very profitable option for millions and millions of people. Across the United States, the average person who goes solar saves about $20,000 over 20 years. In some of the most populous states in the country, the average savings are in the $30,000 to $40,000 ballpark. Your utility company may not be sharing this news with you, but that doesn’t mean that it isn’t a genuine possibility. If you happen to be in one of the few states without net metering, or one of the states that routinely appears near the bottom of a solar power ranking, get some friends together and demand that your policymakers catch you up to the rest of the country. But even if you’re state is in that grouping, the biggest problem may simply be lack of awareness. Most people simply may not know that there are $0 down solar loans available all across the nation and that they could save a lot of money by switching to solar power. This holiday season, consider taking your electricity into your own hands a bit, not letting your utility company put more coal in your stocking, and saving a sleigh full of money in the process. Go solar!